McDonogh coach Andy Hilgartner is eyeing an all-time comeback story as he is trying to lead the Eagles back into post-season contention after an 0-4 start in MIAA A Conference play. His team took the first step on Friay with a 7-4 win over Spalding. The McDonogh boys lacrosse team finally broke its shocking season-opening four-game losing streak in the MIAA A Conference, on Friday, but it was not easy. The Eagles survived a stiff battle from Archbishop Spalding, before pulling away late for a 7-4 victory. At this point the Eagles (7-4, 1-4 MIAA A) expect nothing to come easy as they went from being 6-0 in non-league play and ranked No. 1 in the nation to 0-4 in their own conference. McDonogh’s Dane Swanson staked the Eagles to a quick 1-0 lead, but the rest of the first half must have seemed like déjá vu for the Eagles. Spalding tied the game at one and, after a goal by the Eagles’ Matt McMillan gave McDonogh a 2-1 lead at the end of the first quarter, the Cavaliers scored the only two goals of the second quarter and went to the half with a 3-2 advantage. The sledding remained tough in the third quarter as Matt Hilgartner and Liam Powderly scored back-to-back goals to give McDonogh a 4-3 edge, but the pesky Cavaliers drew even once more. With 17 seconds remaining in the third quarter, however, Adam Lamberti scored for McDonogh and the Eagles were finally on top to stay. Spalding (6-5, 2-3 MIAA) was held scoreless in the final quarter, while Cole and Gable Braun added goals for McDonogh to produce the final margin of victory. Race Ripley scored twice to lead Spalding and Russell Melendez produced a goal and one assist for the Cavaliers. Josh Tang also scored for Spalding. McDonogh, which played in the last two league championship games, still has a window to reach the playoffs, but it must sweep its remaining five games (John Carroll, St. Mary’s, Mount St. Joseph, Severn and Gilman) and still will need some help. McDonogh still has St. Mary’s and Gilman to play, where it could gain a tie-break advantage, but the Saints are 4-1 with a favorable closing schedule which should get them to at least seven wins. Gilman 3-1 suffered its first conference loss on Friday, to St. Mary’s, and it is a team McDonogh is most likely targeting to catch. 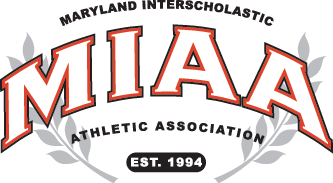 The Greyhounds have St. Paul’s, Loyola and Calvert Hall in their next three games, before closing with John Carroll, Boys’ Latin and McDonogh. If Gilman has six league wins or less heading into that final game, McDonogh, assuming it wins everything leading up to that contest, could sneak back into the post-season with a win over their arch-rivals in the regular season finale. Spalding, which still sits one spot above McDonogh in the standings, is also still in playoff contention, but the Cavs now likely need seven wins and a lot of upsets. They still play St. Paul’s, Loyola, Boys’ Latin and Calvert Hall before closing at John Carroll.